During the Romantic period, no concert was considered complete without a song. The Valley of the Moon Music Festival will present a typical 19th-century salon concert, beginning with Schubert’s turbulent Quartettsatz – a masterpiece in one compact movement. The concert will continue with some of Schubert and Schumann’s most beautiful lieder performed by renowned tenor Nick Phan, and end with Schumann’s great Piano Quintet with its triumphant double fugue. The audience will experience this intimate and psychologically stirring music on the instruments for which it was written, including natural horn and a Viennese fortepiano from 1841. The Valley of the Moon Music Festival’s mission is to perform the chamber works on Classical and Romantic music on period instruments, and to promote the careers of emerging artists by collaborating with them in concert. After many years of exploring, performing and recording the chamber music of the Classical and Romantic periods on period instruments, founders Tanya Tomkins and Eric Zivian have come to the conclusion that these well-known pieces can be experienced in a completely new way, not only through the unique qualities of period instruments but also through a full understanding of period style. Tanya began to appreciate this many years ago in the Netherlands, where she studied and performed, when she heard a very familiar Mozart symphony performed on period instruments by the Orchestra of the 18th Century. Approached in a style more Baroque than modern, the piece came into an entirely new and fascinating light. The historical instruments took care of many of the balance problems that can arise playing on modern instruments, while bringing out the humor, charm, and poignancy of the music. 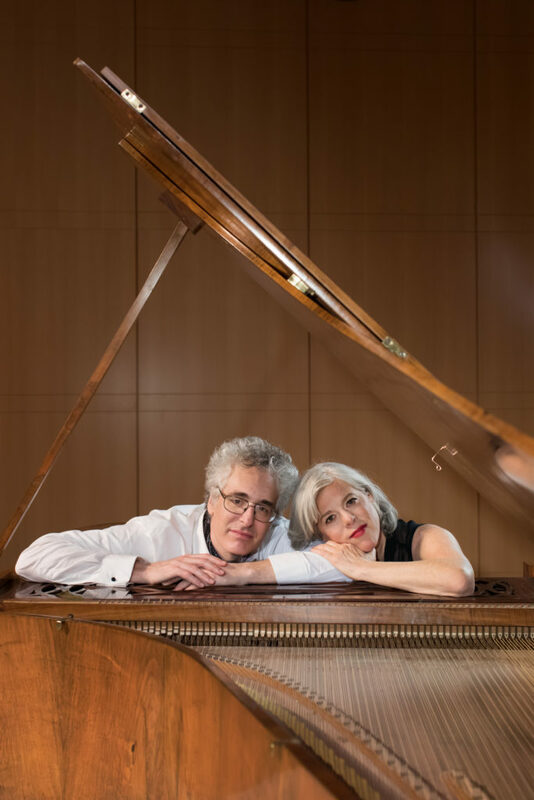 For the past ten years, Eric and Tanya have immersed themselves in Classical and Romantic music on period instruments: recording, performing, and teaching these pieces from an historic perspective. They have dedicated more and more of their time and attention to fostering students’ development by coaching, mentoring and featuring them in a house concert series. That led to the idea of starting a music festival devoted to performing and teaching this repertoire on period instruments. Valley of the Moon Music Festival is not just an exciting series of summer concerts in the beautiful town of Sonoma, but also a place for emerging musicians to thrive as they incorporate this chamber music into their professional lives.